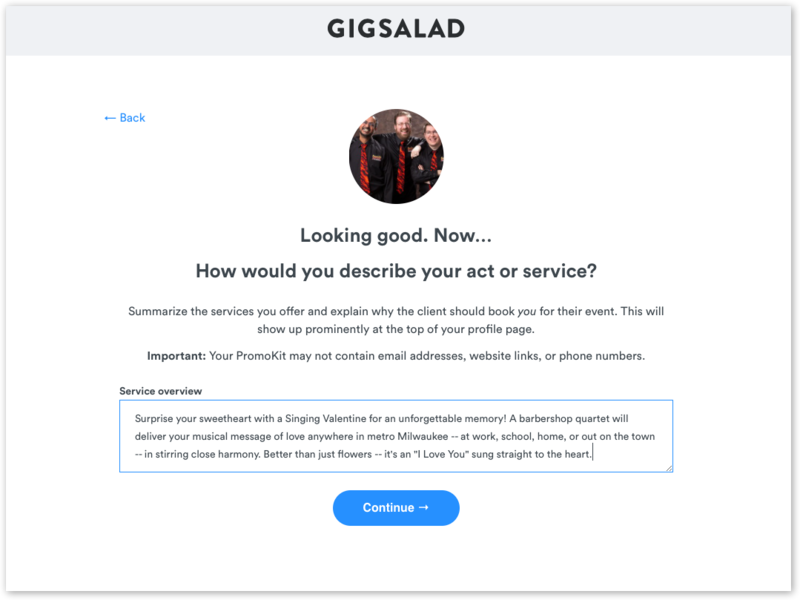 Getting started on GigSalad is quick and easy -- you should be able to complete the basics in as little as twenty minutes. We'll show you how to get started in this quick step-by-step tutorial. Critical -- be sure to set your PRIMARY category to SINGERS > BARBERSHOP QUARTET. This is an important part of the search criteria that will find you for Singing Valentines. In a later step, you can additional categories. Use your actual performing unit name, and add Singing Valentines to the end, because you are permitted to change it later with a phone call. Add video of delivery if you have it. 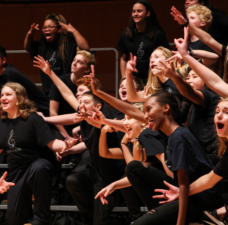 Surprise your sweetheart with a Singing Valentine for an unforgettable memory! 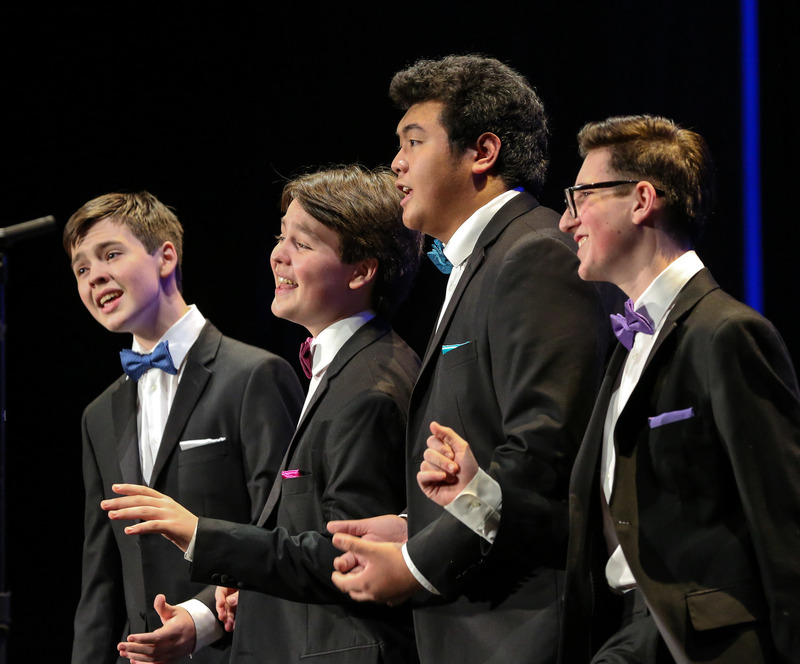 A barbershop quartet will deliver your musical message of love anywhere in metro Milwaukee -- at work, school, home, or out on the town -- in stirring close harmony. Better than just flowers -- it's an "I Love You" sung straight to the heart. 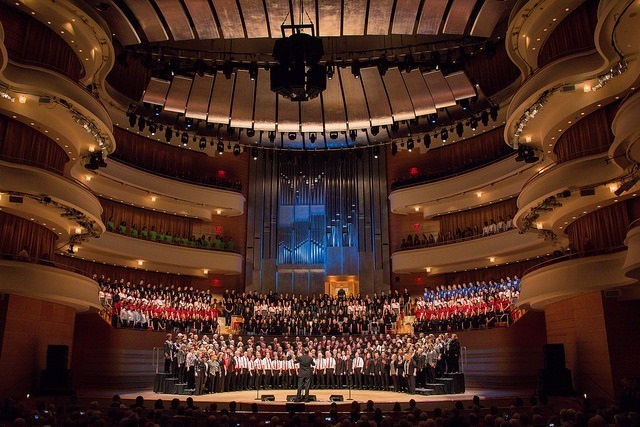 Apply the coupon code 2019BHS and click “apply coupon” to receive the Society discount. Bill the service to your credit card. You may choose to receive your payments from bookings by PayPal, direct deposit to your chapter bank account, or by a plain old paper check mailed to your chapter. Follow the links to Edit your PromoKit. 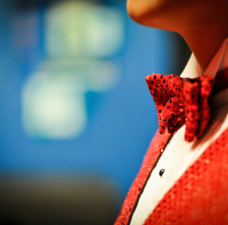 To show up as a Singing Valentine service, you MUST set your Primary Service to UNIQUE & SPECIALTY > SINGING TELEGRAM. At your leisure, work your way through the rest of the PromoKit tools. 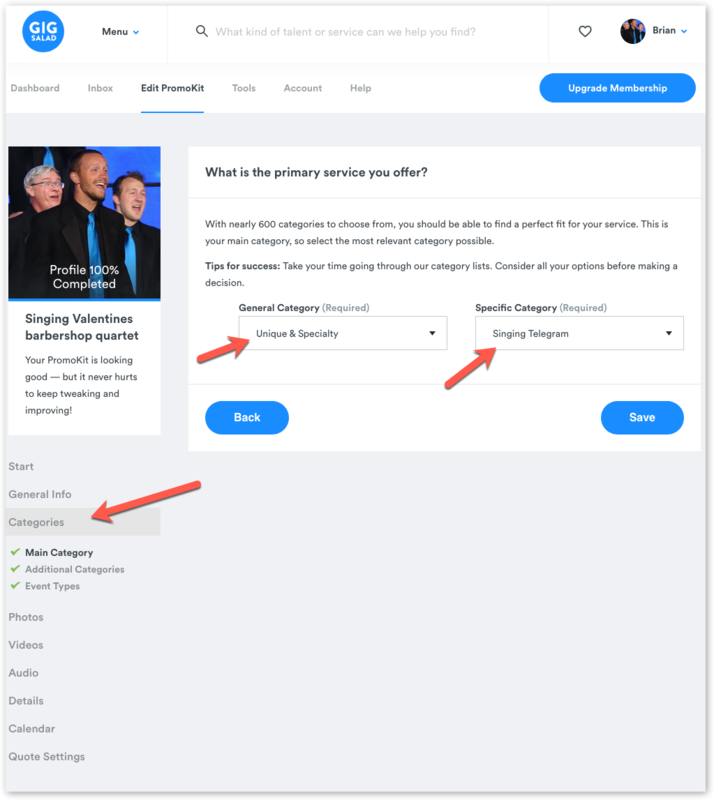 Where the initial set up may have taken you twenty minutes, you may need another thirty to create a complete profile and to optimize your results. 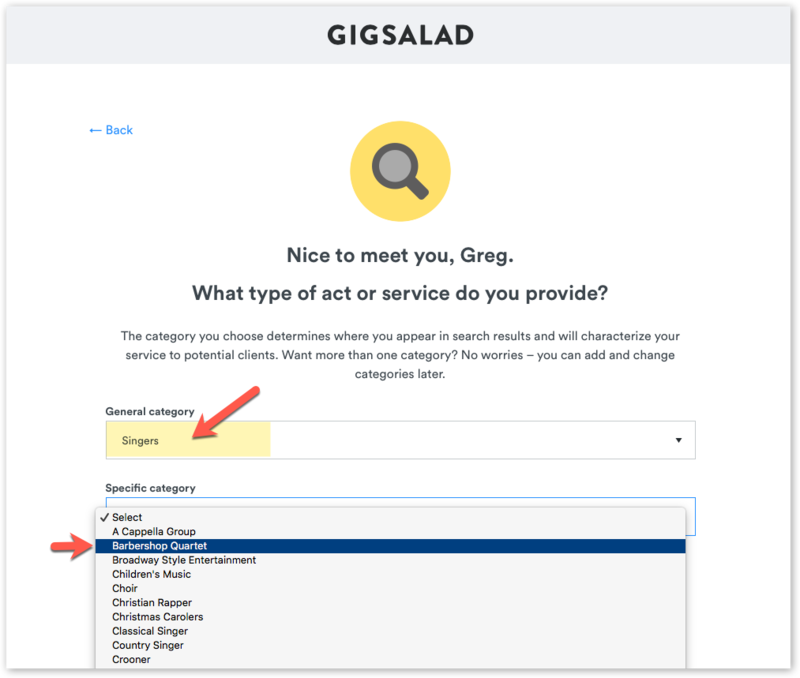 Use the extensive Help System at GigSalad to get the full value of the service. 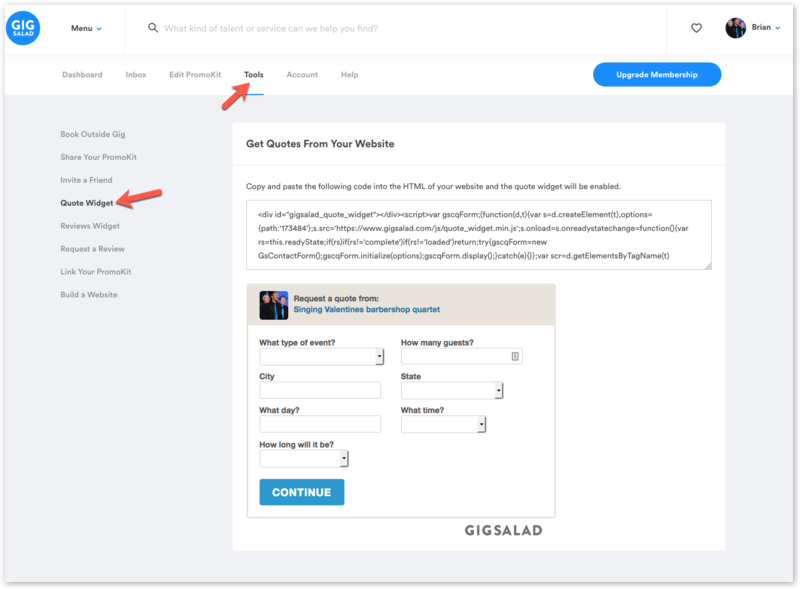 Use the quote widget to embed a GigSalad form on your site - -a quick and easy way to expand your order-taking capabilities immediately. Is this only for Singing Valentines? No! 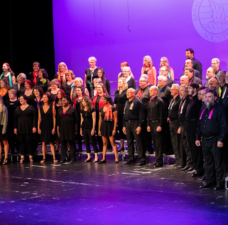 We’re promoting it for Singing Valentines right now because it’s so quick and easy to get started, and Singing Valentines are the biggest single day of barbershop performance each year. Subscription: Use promo code 2019BHS to receive a discount off Pro and Featured accounts. A Pro account paid month by month is $19.49; six months at a time is $16.25 month, or annually, as little as $13.48. Why GigSalad instead of the old singingvalentines.com service? “Alongside SingingValentines.com” might be more accurate. 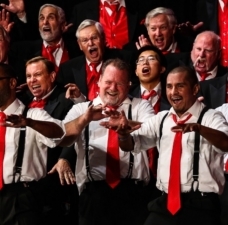 The most important drive behind the partnership with GigSalad is the need to put barbershop entertainment out in the marketplace alongside other entertainment products. When customers think about hiring entertainment, barbershop might not be their first thought -- but it can be. 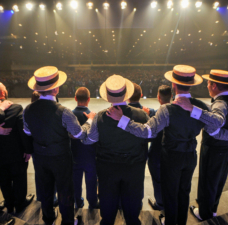 GigSalad is already used by more than one million customers to book all forms of entertainment -- and barbershop can be part of the conversation. 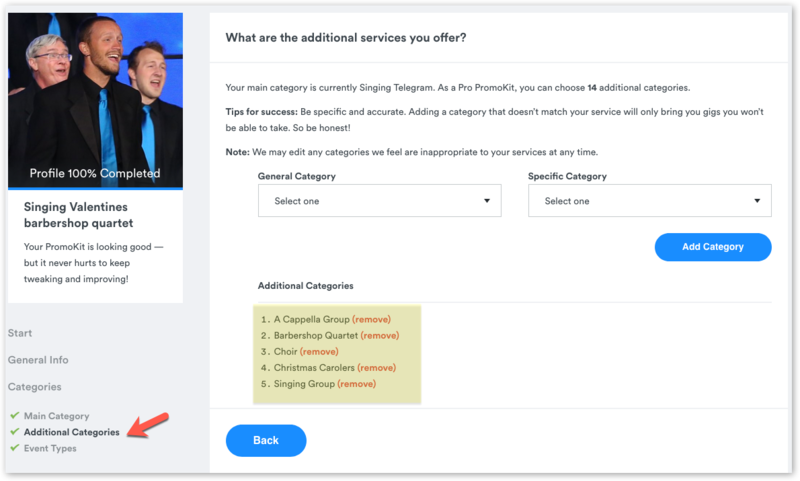 The embeddable quote widget also makes it easy to put your hbooking engine right in front of visitors to your web page, and the favorable processing fees make it a cost-friendly service for every group. Who can I contact for help or more information? The GigSalad Happiness Team is ready to answer questions about your listing, provide technical support, and ensure your experience is great. Start with their online Help Center, use their contact page to reach support or phone them at 866-788-GIGS (Monday-Friday 8am-5pm Central).